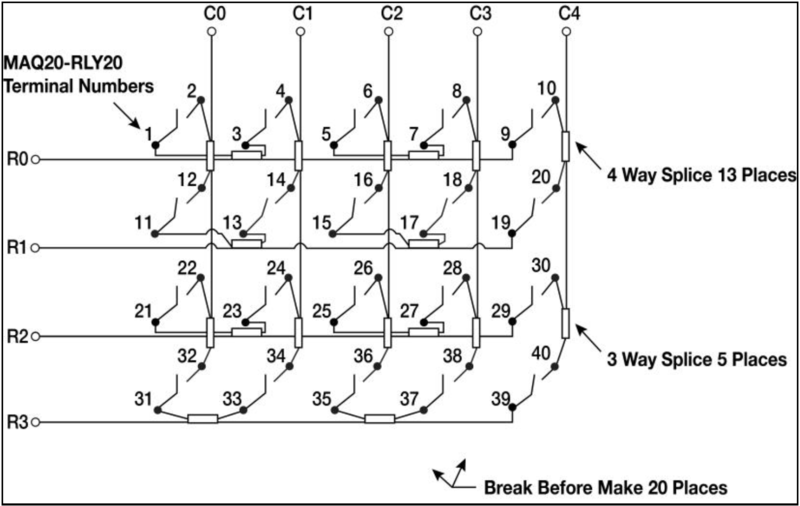 The MAQ20 relay module, MAQ20-DORLY20, contains 20 relays that may be wired as a 4x5 cross point switch as shown in the figure 1 below. The numbers 1-40 represent the 40 spring terminals of the module. The labeled connections C0-C4 and R0-R4 are system connections. Figure 1: Wire diagram of MAQ20-DORLY20 used as 4x5 cross point switch. 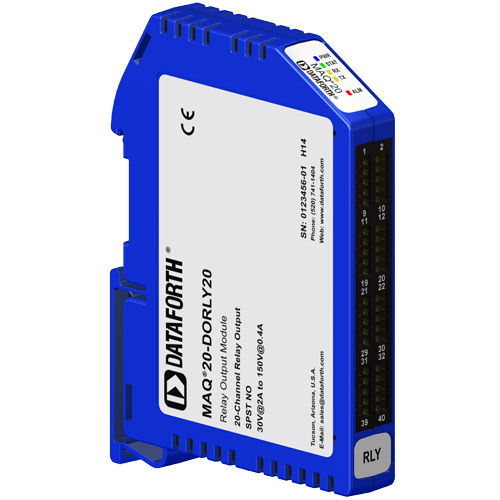 The MAQ20-DORLY20 in such configuration as cross point switch can find valuable use in many applications. 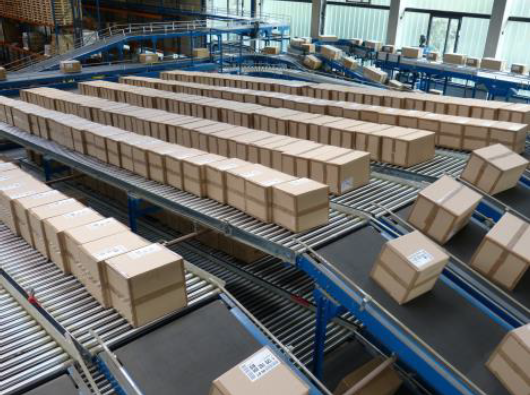 One example is the use in a manufacturing or distribution center conveyer. Let’s imagine that up to 5 machines or operators produce outputs, C0-C4, for the next operation, R0-R4. Up to four machines or operators are to receive the Cx outputs. When a C station signals completion to the conveyor controller, the controller picks the C output, but takes no further action unless, or until, an R station is ready, or becomes ready, for input. If C2 station has been picked and R1 becomes available for input the controller closes relay C2-R1. This in turn causes the conveyer to move to and place its container at the R1 station. The relay module, MAQ20-DORLY20 in combination with the MAQ20-COMx module, may also be used for other applications by wiring it as one of several multiplexer purposes, or just driving 1 to 1 to machine contactors. The MAQ20 discrete input module, MAQ20-DIVC20, may be used to detect signals from C and R functions. 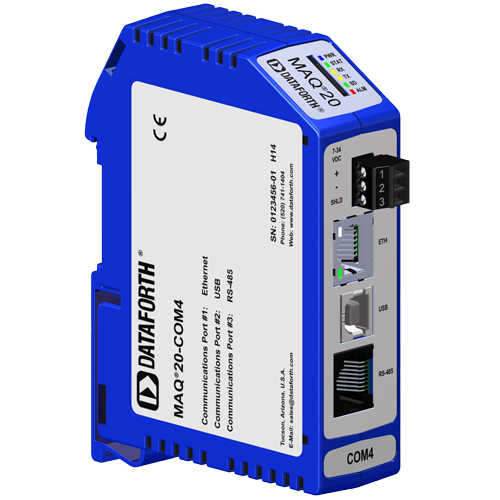 A simple MAQ20 system built with just two modules, the MAQ20-COM and MAQ20-DORLY20 can control a multi-input, output conveyer.